The Infopanel: a simple MQTT-connected display system for weather, traffic, pictures, animations…anything! Thanks entirely to the efforts of local climate-related organizations in Seattle, I’ve now spoken at a handful of book stores, breweries, universities, and even Town Hall on climate and energy. Last week, I was honored to be on one such panel at a brewery in Ballard alongside Univ. of Washington oceanographer LuAnne Thompson and Governor Inslee’s senior climate policy advisor, Reed Schuler. My role was to provide background information on the human relationship with energy: what we’ve used in the past, what we’re using today, and what our low-carbon options are moving forward. I touched on progress and challenges with intermittency, hydro, and nuclear. This post summarizes and expands upon these topics. The first part of my talk was easy. I threw up my favorite slides demonstrating how energy improves quality of life by replacing human labor. Between construction, farming, heating, water, laundry, and travel it’s a pretty easy case to make. 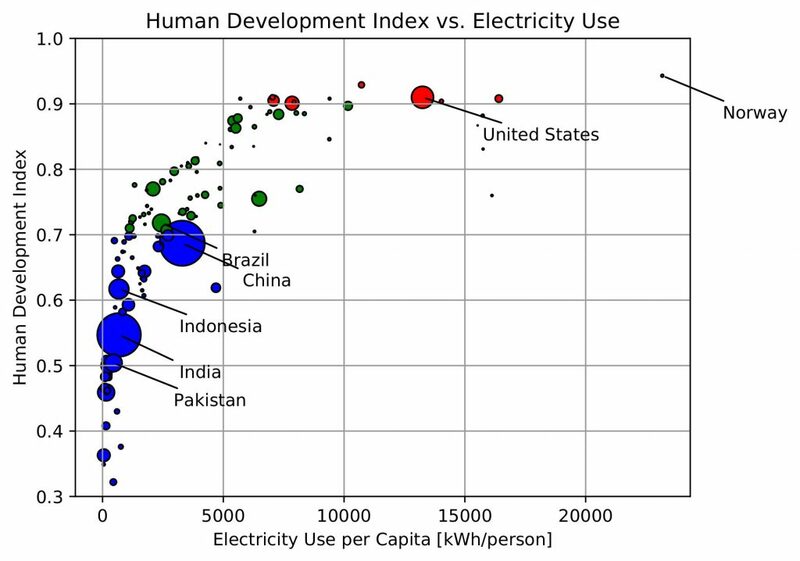 To drive the point home, I showed the Human Development Index (a simple model for quality of life) vs. per-capita electricity usage. It’s really true: if you’re in a developing country and want a higher quality of life you will be using more energy. Note the plateau as well, in developed countries like the USA having more energy doesn’t really make our lives better, we’re already saturated. So, what energy sources have we been using? In the olden days, it was all human power plus some hard-working horses, oxen, and donkeys (the concept of a “tread-mill” did not start as an exercise machine). Then hydro-power got big as some really powerful water-wheels were used for milling and pumping. Wind-mills had their place doing the same, and were especially important for irrigating flat places like the frontier of the USA. 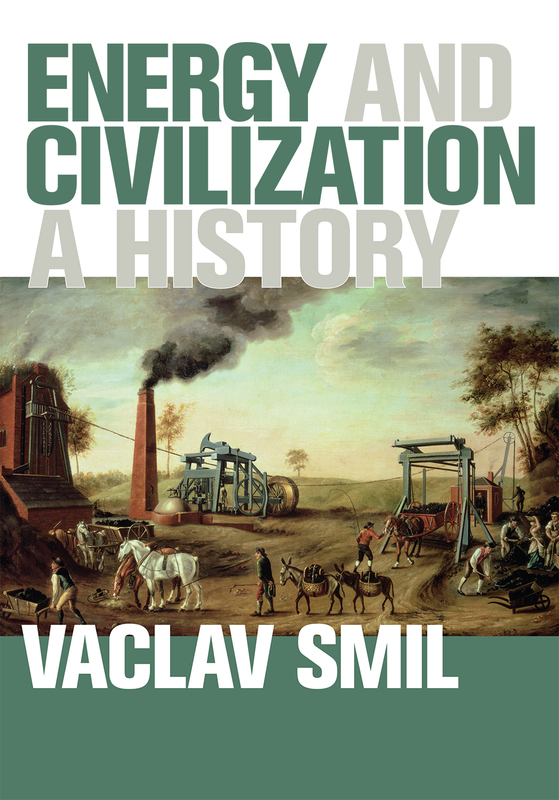 Very thorough book on humans and energy. 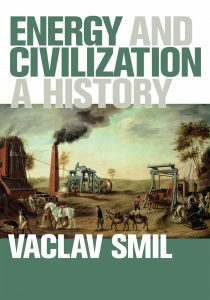 Anyway, fossil fuels got big in the 1800s starting with coal. Believe it or not, that was a good thing for the environment at the time. Wood was being consumed for making charcoal for smelting iron (among other things) at such a rate that forests were being decimated (you need a lot of wood to make a little charcoal). Coal and associated metallurgical coke came along and saved many forests. The EIA has detailed info about what kinds of fuels we’ve used. Here’s what the USA story looks like (and much of the world isn’t much different). In 2017, the world was 86% powered by fossil fuel. I wanted to point out that fossil fuels really have increased the quality of lives and affluence of billions. To say this is incontrovertible, but it’s such a distant and infrequently-made point in this area that it got a few gasps at my talk. Iron, copper, steel, railroads, global health, the moon landing, the internet, Katy Perry… all these depended on fossil fuels. Even Alex Epstein’s The Moral Case for Fossil Fuels makes the interesting point (amidst the frustrating climate-change skepticism) that fossil fuels turn dangerous climates like northern Michigan in the winter into safe ones like a nice warm cottage with a propane furnace. It’s worth at least admitting that we all benefit from fossil fuels. Of course there’s a problem: climate change. In 1988, Dr. James Hansen, then head of NASA Goddard Institute for Space Studies, raised the alarm to Congress that anthropogenic greenhouse gas emissions were causing a potentially dangerous warming of the globe. (This possibility had been anticipated as early as 1900). Today, the lion’s share (72%) of greenhouse gases we produce come from energy generation. Cow farts, land use, industrial processes, and waste make up the rest. If we want to decarbonize, we should focus our top priorities on the energy sector. And this is in line with what we’re doing. Dr. Thompson, the climate scientist on the panel, explained that the current models say we need to be at zero carbon in 2050 and then go strongly carbon negative until 2100 to meet the 2 °C max change by 2100 by sucking it out of the atmosphere. We didn’t have time to talk about how much energy would be required to go that negative, but I know it’s extraordinary. Global Manmade Greenhouse Gas Emissions by Sector, 2013. You can see it’s mostly from energy. (Source: Climate Analysis Indicators Tool, World Resources Institute). 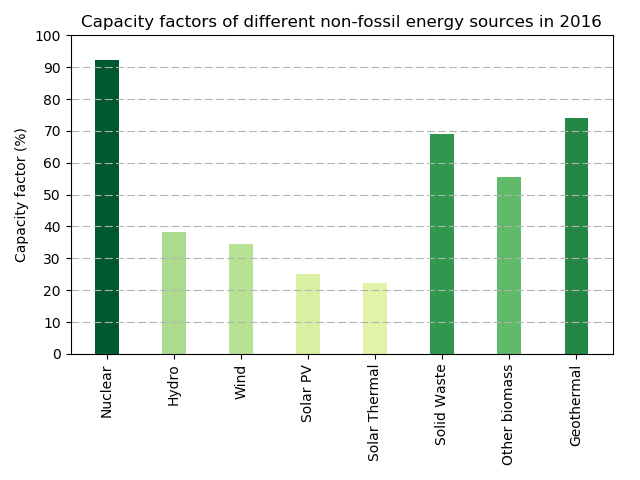 Fossil fuels are bad, dedicated biomass is better but still high, solar’s way better, geothermal, hydro, tidal are even better (see caveat about error bar on hydro below), and nuclear and wind wrap it up as the lowest carbon energy sources known to man. Note that natural gas is roughly as bad as coal from a climate change perspective due to methane leaks. There aren’t any good carbon-free transportation fuels that I’m aware of so we’re going to have to depend on electric (or hydrogen fuel-cell) vehicles charged by massive amounts of new carbon-free generators on the electric grid to rid us of our dominant energy source: oil. There is an electric airplane company now but that’s another big challenge as many affluent people generate huge fractions of their emission from air travel (way more than your average badass “rolling coal”). Also, everyone’s going to have to go to electric heat and stoves if we’re serious about decarbonizing. So to meet LuAnne’s/Paris’ goals of going carbon-zero by 2050, not only do we have to shut down all our coal and natural gas electric plants, but we also have to ramp up the electric grid by more than a factor of 2 to cover heat and transportation. And then we might have to nearly double it again to pull the excess carbon out of the atmosphere for the next 50 years… Man! this sounds hard. Wind and solar and intermittency, oh my! Wind and solar power are astoundingly popular. 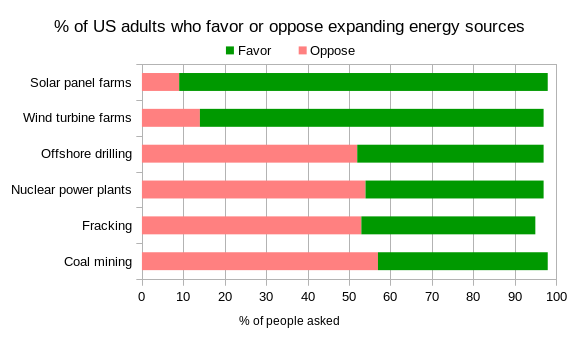 Most people don’t want more offshore drilling, nuclear power plants, fracking, or coal mining. Wind and solar enjoy strong policy support. It’s clear that the resulting tax credits are doing what they’re supposed to be doing as we see prices of these sources fall very rapidly and impressively. The numbers we read in excited headlines these days in terms of adoption and cost are extremely encouraging, and it can feel like we’re well on our way to meeting the Paris climate goals. This seeming the case, a large and growing fraction of the population want us to go 100% renewable: all the good, none of the bad! I don’t blame them! It does sound really good. I find it important to caution this enthusiasm a little because I understand the magnitude of the problem we’re facing and when I look at what we need vs. where we are, it seems extraordinarily challenging even if we used as much of every low-carbon source we’ve got (including nuclear). Of course the natural challenge with wind and solar is that they’re intermittent. You’ve heard it before: “The sun doesn’t always shine, and the wind doesn’t always blow.” No problem! We’ll store energy in batteries and pumped hydro! Right? This kind of energy storage is extremely challenging, and almost certainly does not have the lowest environmental impact of our options. Every day in California, the sun comes out and the non-solar power plants ramp way down. Then at sunset, everyone comes home and opens their fridge. The non-solar grid generators ramp up 13 billion Watts in 3 hours for the evening and then stay fairly high until the sun comes back out. This makes what’s now called “The Duck Curve”. What would it take to handle that kind of energy in batteries and pumped hydro? Read on! As I looked over the live data in my area from Bonneville Power Administration (BPA), this challenge became even more clear. This organization controls vast swaths of power plants, dams, and wind farms in Washington, Oregon, Idaho, and Montana (pdf map of their control area). Here’s the sources of energy used by the BPA in the first half of December, 2017. 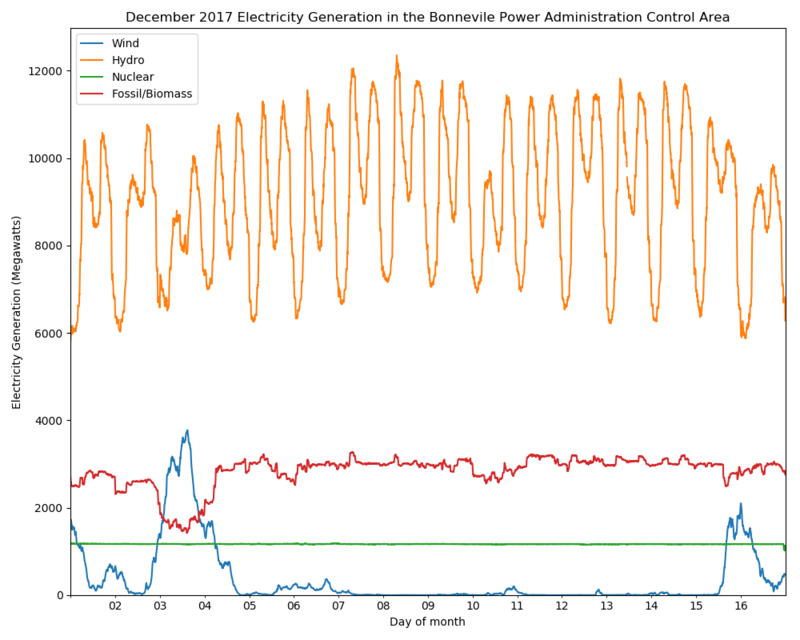 Electricity sources in Bonneville Power Administration control area in December, 2017. Hydro is going up and down to follow the load (WA has the most hydro power of any state) Woah! Check out that lull in wind generation! It wasn’t windy across 4 states for 10 full days. Note that there’s no solar because there’s almost zero utility solar in the northwest. Data from BPA. 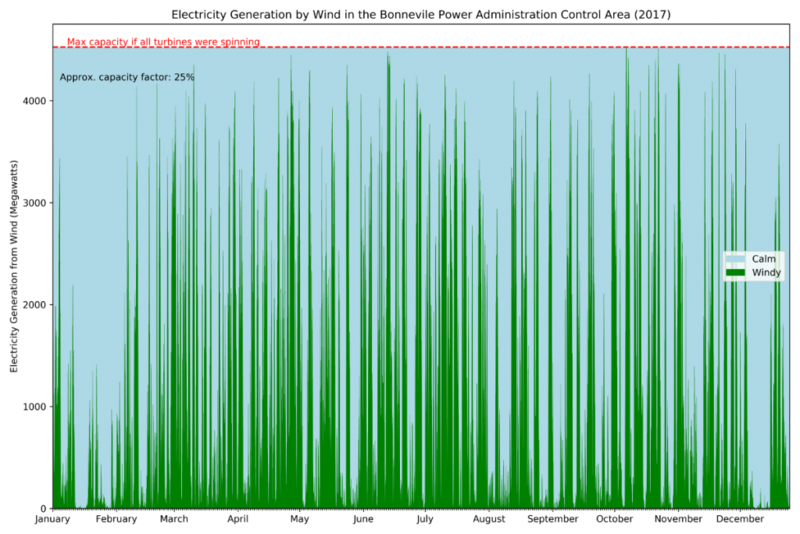 BPA controls 4 GWe of nameplate wind capacity, but that entire fleet over multiple states was down for the count for 10 full days because there was no wind. A lithium-ion battery bank capable of generating 1.4 GW (4 GWe capacity reduced by the average wind capacity factor of 35%) over 10 days would weigh 1.5 million short tons and sit on a full football field (including the end zones) at 100 stories tall (330 m). That stack of batteries would cost $90 billion at current low (and falling) prices of $250/kWh for the lithium alone, and you’d have to re-purchase and rebuild it every 20 years or so as the batteries degrade. Plus you’d have to build additional generation capacity to charge these skyscraper battery banks in addition to supplying the (expanded) grid. Lastly, right now wind and solar produce a small fraction of our total energy (<2% worldwide). If it was higher, the storage required for these kinds of lulls would be equally higher as well. It should be abundantly clear that this magnitude of energy storage is an extraordinary challenge. Conversely, 1.4 GWe of continuous, carbon-free, low footprint nuclear generation would cost about $6B (assuming we hire the Koreans or Russians to build them) and would last 60+ years. (More on nuclear later). This particular lull is just in my region right now (I swear I didn’t cherry-pick it, I just looked), the national picture is summarized by annual capacity factor figures, as plotted below. So we can be precise: in the USA, the wind blows 35% of the time and the sun shines 25% of the time. BPA wind generation in 2017. Green means wind is blowing, blue means it’s calm. Overall, the rectangle above is 25% green, meaning there’s an average capacity factor of 25% in this area. For solar, besides nights, similar lulls are fairly regular in the form of multiple-week cloudy periods. An even bigger challenge is seasonal intermittency. There is ~4x less sun in many areas in the winter than there is in the summer. From the previous discussion, it should be clear that we can’t store energy in the summer and use it in the winter (even using solar-thermal storage like thermal salt tanks). So, to go full renewable, we must build enough capacity to support the requirements of the winter. In a midwest December, the nights are about 15 hours long and the solar insolence is less than 2 kWh/m2/day. There are regular periods of several weeks with deep overcast between sunny periods. 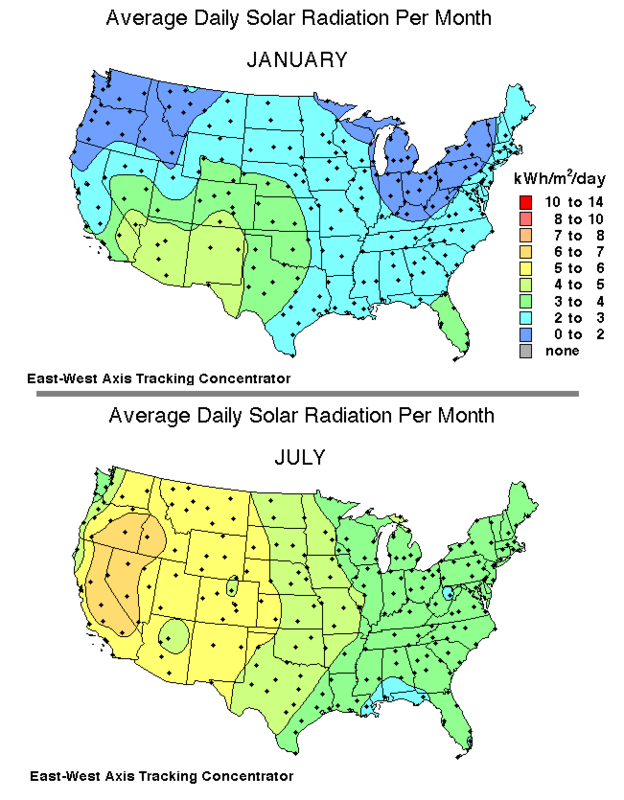 In some areas, wind and solar seasonal variations can cancel each other out to some degree, while in other areas they change together with the seasons (see plots at EIA). In either case, since it’s always possible that both the wind and sun could be largely out of commission in multi-state regions for multiple days, the energy grid must have a way to still work. By the previous discussion, batteries appear to be too impractical, too uneconomical, and too environmentally impactful for this problem on a grid scale. You have to mine and transport that lithium from somewhere. Another interesting curve to watch out for is Figure 12 in this research paper (Energy Policy 35 (2007) 4424–4433) out of NREL. It shows the cost of solar systems with different size energy storage facilities as a function of system energy percentage. You’ll note that in these system models, the cost reaches a nearly vertical line as penetration approaches 40%. Enabling technologies to avoid this kind of limit can be developed, but are undeniably challenging and uncertain. One large-scale non-battery way to store energy is to take water at the bottom of a dam and run pumps to lift it back up into the reservoir when you have excess energy (i.e. when it’s really sunny or windy and you have a lot of excess capacity). This is neat because you can then adjust the valves on a hydroelectric plant in the dam to let the water fall back down at some later time, spinning the turbine and converting it back into electricity. Where you have lots of big reservoirs, this pumped energy storage system can hold a very significant amount of energy. A Puget Sound Energy hydro guy came up to me after the Ballard event where I presented this and said: “what you said about reservoirs is complete BS!” After discussing and exchanging research papers, he conceded that the biogenic emission issue indeed warrants careful consideration. He then correctly pointed out that hydro has other benefits like flood control and balancing wind intermittency. We ended up on good terms and agreed to partner in the quest for a low-carbon future. I’m hoping to secure a hydro tour. Then in November, 2017, Jacobsen took the scientific debate to the courts and sued Clack and the National Academy of Science for libel, claiming that the publication harmed Jacobsen’s reputation. I’m sure I’ve almost been sued and felt like suing when discussing energy sources with other interested parties in much more casual environments (i.e. on the internet). But we have to keep our eyes on the ball. If the climate models I’ve been looking at and hearing about are even remotely right, then we have no time to screw around arguing and suing each other with hurt feelings about which of the low-carbon energy sources we should be promoting and which ones should die out. We need them all. While we argue, take a look at the figure below showing what the world’s projected to be doing with its energy supply. In 2040 the carbon-free sources (renewables + nuclear) together are just crossing over the first fossil fuel, while the other two are still kicking along, and increasing. This projection is totally incompatible with decarbonization. If the climate models are right, we can’t let this happen, and the low-carbon sources band together and fight the real emitters: oil, natural gas, and coal. This 100% renewable business wouldn’t be a big deal unless it had some negative impact. If such a dream was getting tons of wind and solar farms built and that was it, then that’d be great and I’d be behind it. We truly need all the wind and solar we can get! But the reality that public perception and corresponding policy around the 100% renewable dream is having a major negative impact on civilization’s ability to decarbonize in part because it’s directly harming the largest source of carbon-free energy in the USA: nuclear energy. Let’s all shed a tear for the nukes. No really! 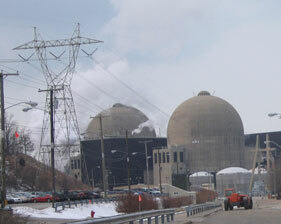 Nuclear energy is my favorite energy source. Due to the energy density of nuclear fuel (there’s ~2 million times more energy in a handful of uranium than of coal), it features extraordinarily small material, land, health, and waste footprints. The power plants run 24/7, day or night, wind or calm, and they are the second most carbon-free energy source we know of (see chart above). By any credible scientific study, they’re among the safest sources of energy we know, and James Hansen himself (the same climate champion who told Congress about greenhouse gas) has calculated that on the balance, the nuclear fleet has saved 1.8 million lives and offset 65 billion tonnes CO2-eq by offsetting air pollution deaths and emissions from average plants that would have otherwise been built (see write-up including link to paper here). 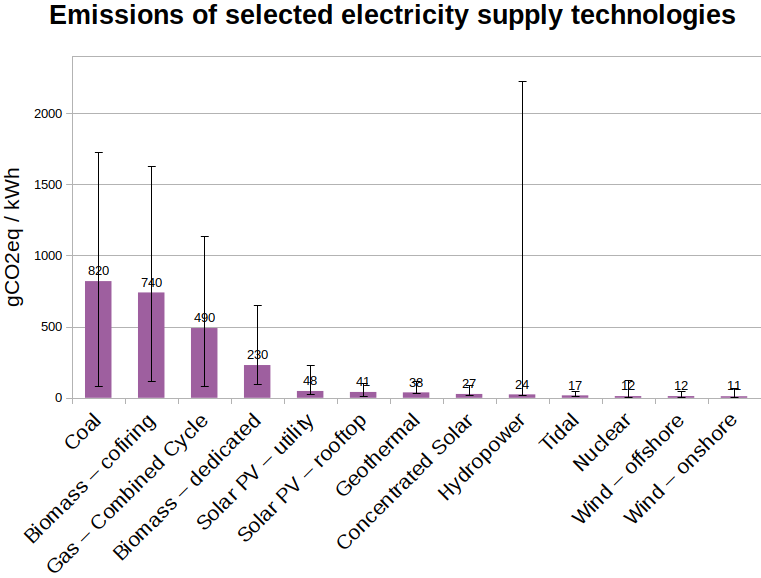 The data’s a bit shaky, but it also appears that more people fall off their roofs installing solar panels than die from nuclear reactor accidents. Nuclear reactors have the best capacity factor, at above 90% nationally. They do have to go down for a few weeks every 18-24 months for refueling/maintenance outages, but since we can plan these, we just stagger which ones are down in a large fleet, (c.f. wind and solar, where “outages” are out of anyone’s control and affect entire regions together, and hydro which has to deal with regional droughts). Another nice thing about nuclear is physical protection. Wind and solar are necessarily exposed to loss during hurricanes, tornadoes, and flooding, whereas nuclear plants are built in reinforced concrete fortresses and can very frequently keep on operating during such events, providing critical energy even in times of dire need like during Hurricane Harvey. Cost is an issue, especially in the West. Westinghouse just went bankrupt due to botched construction schedules and overruns at the new builds in the South. The construction delays and cost overruns have to be solved if nuclear wants to be serious. Fortunately, we have existence proofs that this is indeed possible. 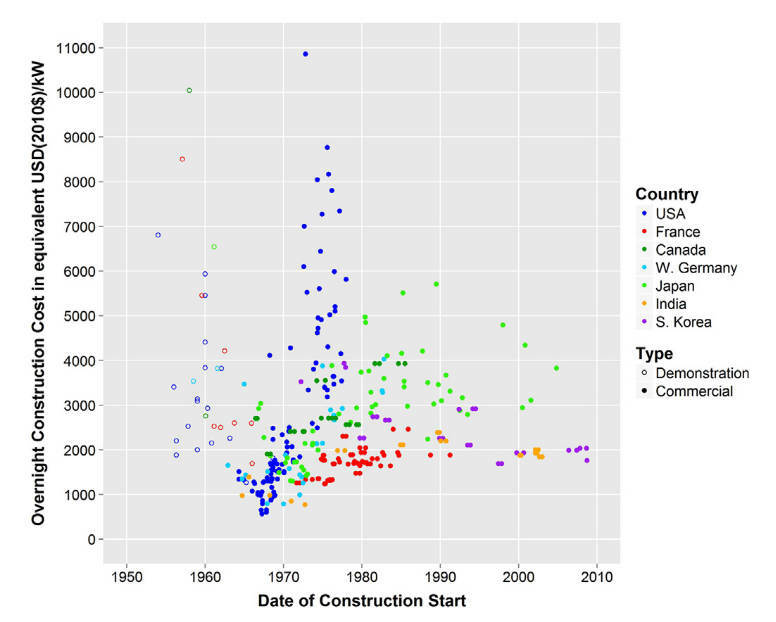 Jessica Lovering analyzed historical construction costs of nukes in 2016 and points out that South Korea, France in the 1970-1980s, India, and Japan have been able to build nukes for reasonable prices while the US faltered. Conclusion: the USA got bad at it, but it doesn’t have to be that way. Most of the successes have been met with the help of a mature supply chain and fairly standardized designs (vs. the first-of-a-kinds we build in the USA). I think CA governor candidate, Michael Shellenberger, was onto some good points along these lines after the Westinghouse news. Fig. 12. of Lovering, Overnight Construction Costs of Global Nuclear Reactors in USD2010. Costs are adjusted by local GDP deflator and to USD at 2010 market exchange rates. (CC BY-NC-ND 4.0). There’s also a critical response paper and a response to the response if you want to go into the debate. Russian build data is not included but they may actually be the current world leaders in building reactors on time and budget. While this is a very common and legitimate concern, I’m unaware of anyone who has been hurt by commercial nuclear waste in the 60+ year history of the industry. We know what to do with the waste: put it in deep crystalline bedrock, put it in salt deposits, or put it in deep boreholes. 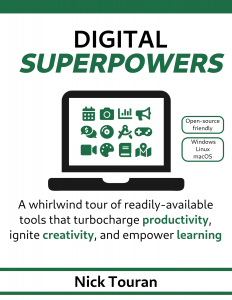 All three of those are reasonable technical solutions and we have sites to do them in. The Finns will open theirs in 2023. It will stay out of the biosphere until well after it decays to harmlessness. Problem solved. No one harmed. The problem is political. People don’t want it near them because they’re afraid of it because they’ve been told to be afraid of it. That is the problem. To be fair, nuclear waste is very hazardous material that must be handled with care. We deal with lots of hazardous materials and know how to do it safely. On the flip side, there’s very little of it. If you got all your energy from nukes for your lifetime, you’d make about a soda can of this nasty waste. So disposing of it isn’t ridiculously hard: we don’t need a huge disposal volume. In Washington state people always bring up Hanford cleanups but it’s pretty easy to convince them that wartime nuclear weapon waste (melted down in radioactive vats of acid to get the plutonium out for bombs and then tossed hastily into leaky tanks for future generations to deal with) is totally unrelated to the solid ceramic commercial waste forms sitting in dry casks around nuclear power plants. The green ooze of Simpsons/Ninja Turtles just isn’t relevant to clean nuclear electricity. So, how is the 100% renewable dream hurting nuclear? The production and renewable tax credits are skewing electricity markets in a way that makes utilities want to shut down their carbon-free nuclear power plants so they can make more money. This is actually a two-pronged issue related to these tax credits and one other thing: low natural gas prices. Natural gas is astoundingly cheap in the USA right now due to things like horizontal drilling and fracking. As a result, owners of power plants in deregulated markets (who are not responsible for long-term sustainability and overall workings of the grid) are incentivized to make as much energy as they can with the cheapest stuff (to them). Because of production tax credits, wind and solar come online whenever they can (they bid negative prices sometimes due to this distorted market). Then coal, then natural gas, and then the expensive natural gas spinners bid their increasing prices. When the demand is met in this auction, the marginal price is what goes all the generators. The nuclear baseload guys just take whatever this marginal price was since they don’t ramp up and down quickly. So the nukes are getting killed on both ends. On the top end, cheap gas is making the top marginal price lower than ever. On the bottom end, wind and solar generation reduces the base of the curve, further reducing the marginal price (again, this is due to tax credit policies), and the result is that the nuclear utilities could be making more money if they just had more gas. So utilities want to shut the nukes down and replace them with wind and solar if the grid can handle additional intermittency (see above), and with natural gas if not. Remember that wind and solar are only (individually) generating <35% of the time. If you were a utility executive in this messed-up market you would do the same for your shareholders. 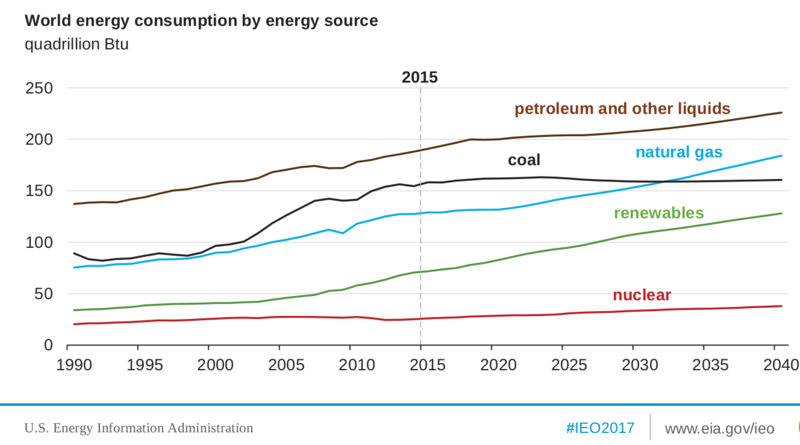 The net result is that the massive amounts of carbon-free generation we’re getting from nukes is being replaced with high-carbon energy from natural gas, and we are departing from our climate goals. But because more wind and solar is getting built, this situation is being cheered on by many. In regulated markets where public utility commissions set the prices and plan out a decade into the future, nukes are doing just fine because they aren’t in this auction kind of environment. In markets where people have decided that carbon-free energy regardless of where it comes from is valuable, nukes are doing much better. Studies indicate that if the were a carbon tax enacted, nukes would out-compete fossil easily. There are lots of exciting things going on in advanced nuclear (like natural safety, minimized waste, cheaper fuel cycles, higher temperatures, thorium resources) but conventional nukes are already climate champions so more of them would be great as well. I have a whole webpage dedicated to teaching people about it so if you want more info check it out: whatisnuclear.com. For a more serious deep-dive in the broader context of nuclear and climate change, check out Scott Montgomery and Thomas Graham’s new book: Seeing the Light. Whenever I give a talk, usually everyone asks “what can I do to help.” People want to figure out what to do and do the right thing. Renewability doesn’t actually matter, but sustainability does. Some resources that renew are not sustainable (trees, biomass) while some resources that are sustainable don’t necessarily renew (nuclear fusion). I swear that the word renewable is specifically crafted to exclude nuclear energy. I suggest telling your policy makers to write legislation that credits the things that matter: “carbon-free energy”, “sustainable energy”, “clean energy”. I don’t want some hack peddling totally renewable whale blubber oil getting tax credits. (Fun fact: uranium in seawater may actually be renewable). So stop asking for 100% renewable energy and start demanding and fighting for 100% sustainable, carbon-free energy. Greenhouse gas taxes that are somehow equitable with low-income populations (via credits?) are pretty much essential. Make sure you include leakage from natural gas pipelines because uncombusted natural gas (mostly methane) is a strong greenhouse gas and we’re building out natural gas capacity like mad because it’s so cheap to fuel (due to fracking) and simple to build and operate (due to awesome engineering in natural gas turbines). Sure it’s way better than coal from an air pollution standpoint but system-wide, including leaks, it’s unclear whether it’s better from a climate change perspective or not. In any case any increase in natural gas is not compatible with our climate goals. Make sure things like emissions from reservoirs, if they end up being substantial, are included. Nuclear accidents are the airplane crashes of the energy industry. They’re big news events, partly because they’re so rare. In the big picture, they have hardly caused any harm relative to the rest of the energy system. By any scientific measure, nukes are responsible and effective happy-climate workhorses. Let’s find ways to standardize on a design or two and start building them wholesale. Open source reactor designs anyone? Also, you should consider paying attention to the ongoing research on the health effects of low-dose radiation. There’s a growing body of research suggesting that our biological mechanisms can effectively repair radiation-induced damage up to a certain dose rate (i.e. a threshold). We use a potentially conservative model and it can cause negative side-effects, like when you evacuate people unnecessarily, causing very real health problems that are always associated with large migrations. Or when you add a few million extra dollars to a power plant for a reason that has no evidence-based health benefits associated with it. I hope I demonstrated the magnitude of the problem we’re facing here so you should work on becoming OK with supporting nukes as part of the all-of-the-above approach. If you’re really convinced and want to get involved in nuclear outreach, check out Generation Atomic! Also, watch David Schumacher’s recent film The New Fire (I’m in it!). We need all the carbon-free energy we can get. If you have a roof, put panels on it and use your electric vehicle to level out some of your load. This is going to help pick away at that 40% of our energy that comes from oil. Alternatively ditch your car. If you don’t have a car, don’t get one. Last option: get a 60 mpg motorcycle but be safe on the road. By the way, electric cars plugged into a smart-grid are a pretty good way to do a certain amount of load shifting and intermittent backup. No one’s going to be able to sell a devil’s breath stove. Ooh, apparently 350.org has been calling it “Fracked gas.” Nice. Keep an eye on your emissions from air travel if you travel a lot. It’s not that jets are inherently inefficient (they get like 40 mpg/passenger), the problem is they can go very long distances very quickly, so it adds up quick. Consider living near your hometown and/or workplace. Employers, encourage people to work remotely more. Innovators: make working remotely slightly more like being at work. Fellow reactor designers and operators: make more nuclear reactors that can load follow. You can do this either by co-generation (desalinate water, make hydrogen, grow food, etc. with your spare heat when the grid doesn’t need it) or by actually ramping up and down power. I know it is possible, we just have to make it easy and cheap. NuScale’s on the right track! At the climate talk in Ballard, a few strongly anti-nuclear guys got up and angerly asked some broad-scale questions, followed by: “WHO’S PAYING YOU TO BE UP HERE SAYING THIS! ?” The moderator looked a bit worried about how aggressive the first guy was, but I sort of expected it, and I’m used to it. I get that people truly believe it would take a paid shill to say things they really can’t believe are true (I get called this online a few times a week). The reality is that while I do have a job, I do energy outreach on my own because I want to help the world solve a big problem. I answered all his questions with reference-able, science-based information. After another similar exchange, my impression is that the a lot of the crowd burst into applause, satisfied with my answer (it’s possible I was too into the moment and one or two people up front clapped). This was inspiring. If I can convince a crowd of climate-concerned Seattleites that the emission goals are a serious challenge, that intermittency is not some no-brainer to fix, and that we should use an all-of-the-above approach, I feel like I’m helping the world at least a little bit. And that’s just what I set out to do when I first discovered nuclear engineering on my early quest to help with climate change. Infinite thanks to Cascadia Climate Action and Seattle Friends of Fission for getting me involved in climate outreach and all the hard work it takes to organize these events. Also thanks to all my friends who helped edit this post. Nick Touran is a nuclear reactor physicist and engineering manager at a reactor company in Bellevue, WA, where he has worked on advanced reactor designs since 2009. He got a PhD in nuclear engineering from the University of Michigan after discovering the field during a search for an impactful climate change related career. He is also the founder, editor, and sysadmin of the public education website whatisnuclear.com, which gets roughly 2000 unique hits per day from curious people (and some bots) from around the world. He’s married to a resident physician at the University of Washington and is a mentor with Big Brothers Big Sisters Puget Sound. Disclaimer: The views expressed on this page are solely those of Nick and don’t represent the views of his employer or anyone else for that matter. Nick, you are a SAINT…thank you for this clear and balanced blog, and please do keep up your GREAT work!!! Nick, this post is a stunning accomplishment. Such amazing clarity and precision to your coverage of such thorny issues. We have ourselves wrestled with how to describe the same facts and sad irony about our climate leaders’ chosen path forward (increase fracked gas use, decrease clean nuclear), relative to efforts to reduce emissions. You have done an enviable job. Therefore, we are pleased to inform you that we have made you an honorary member of the Climate Coalition and welcome you at any level of involvement that you might wish. Please email me so I send you a file. Balanced, cutting, clear, and needed now. This is a clear-headed analysis of one of the greatest challenges we face: getting our climate impact under control. Thank you for getting it right and actively spreading this message! Your analysis of “battery storage back-up” to fill the windless 10 days is very good. It brings to mind a similar one from a few years back by one of Australia’s most reputable energy commentators. wonderful job Its very helpful I just wish there was more that could be done. It seems such and uphill and depressing battle at times and then I read articles like yours. I highly recommend Tim Maloney’s and Mike Conley’s detailed critique of the WWS fantasy, and I will email it to anyone who requests it. I’d attach it, but I can’t find a way to attach a file. Also, because of the increasingly severe threats from climate change, I have decided to send FREE, UPDATED pdfs of my 5th book – Unintended Consequences: the Lie That Killed Millions and Accelerated Climate Change, which has been selling for 24.00 on Amazon – to anyone who requests it via tundracub@mediacombb.net. It can also be downloaded free at http://www.tundracub.com and or at http://www.unintended-consequences.org This pdf will soon be hosted on about 24 websites worldwide. The links within the text are “clickable,” so there is no need to type them into your browser.